Wanna win the above toys?! Read on! 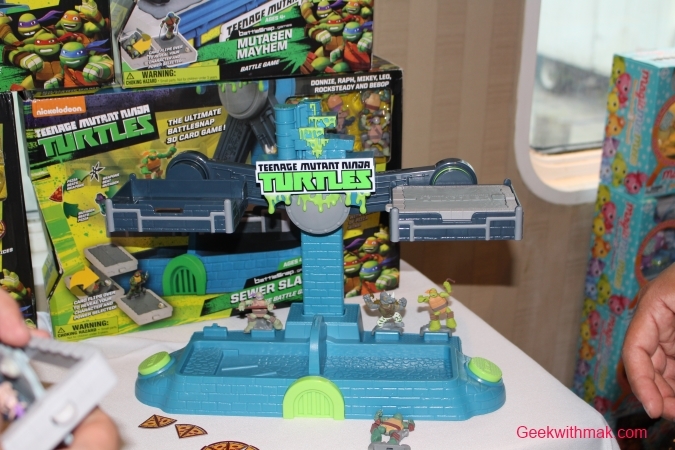 One of the booths that caught our attention at Sweet Suite 2016 was Future of Play with their Magic Mee Mees and their Teenage Mutant Ninja Turtles Battle Snap. 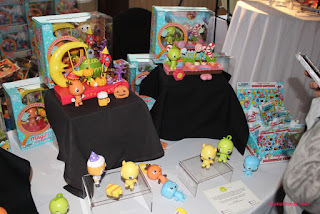 Magic Mee Mees which is releasing August 1st are not only cute and collectible but have some amazing play factor which includes the Mee Mees interacting with each other and their accessories. 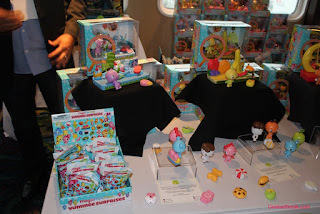 They can be purchased individually or in play sets as well as there are blind bags of 26 different type of foods. Each one of them have their own "world" and food to interact with besides each other. 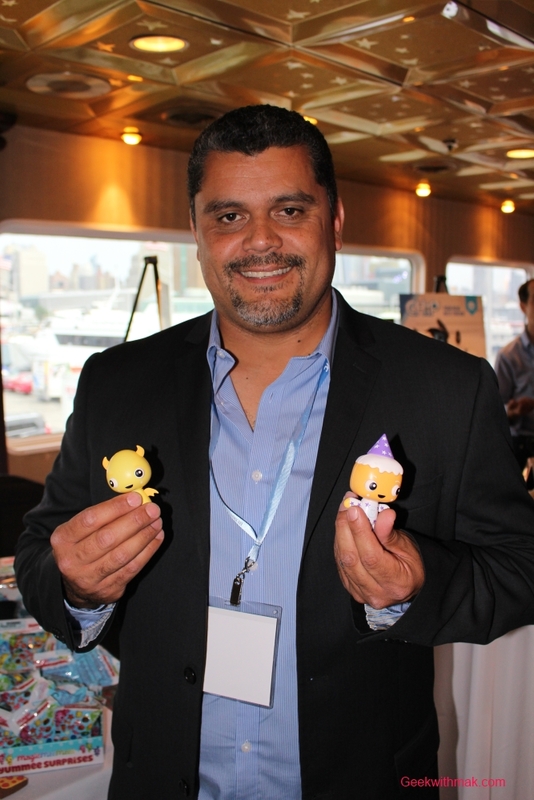 The toys which is the brain child of the creator below says that each Mee Mee character is about 100 millionth the size of us and live within our world that we just don't see. Besides Magic Mee Mees, Future of Play also showed of their name BattleSnap games with Teenage Mutant Ninja Turtles. Think of it as an alternate Rock, Scissors and Papers game. Each figure can be put on a card stand and turned over with different dial to select. 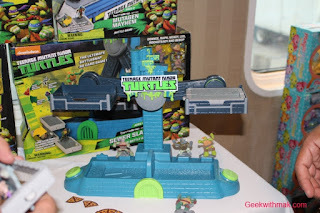 They come together in a snap to see who wins that round in a 3D style card game. 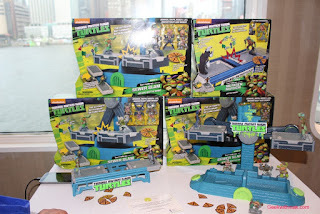 There is a larger set that includes two extra villains, and a smaller set with just the Turtles. They're expected to hit major retailers such as Toys R Us, Target, Amazon and more. 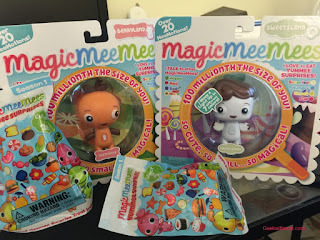 So how do you win the set of two Magic Mee Mees and two blind bags? 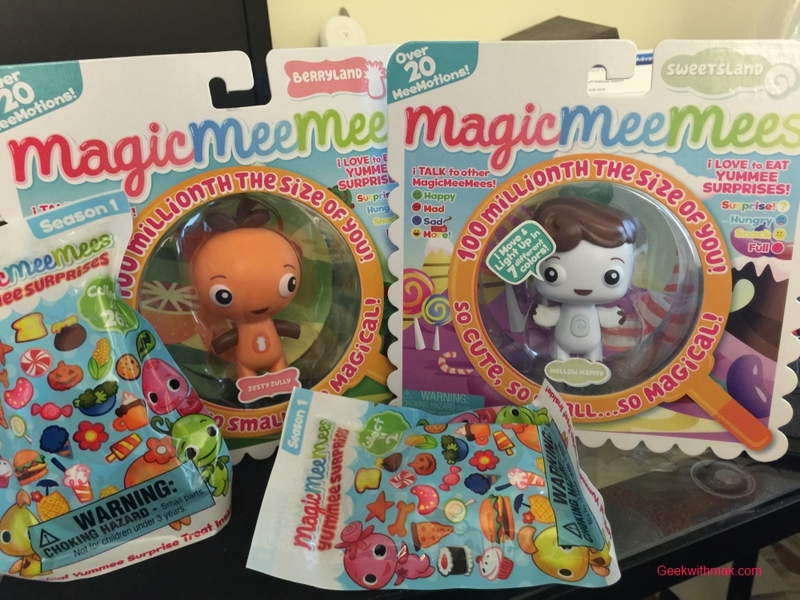 Contest ends July 22nd 2016 Midnight ET. Please if you've won a contest from us within the last 45 days, do not enter and give others a chance to win a prize from us!